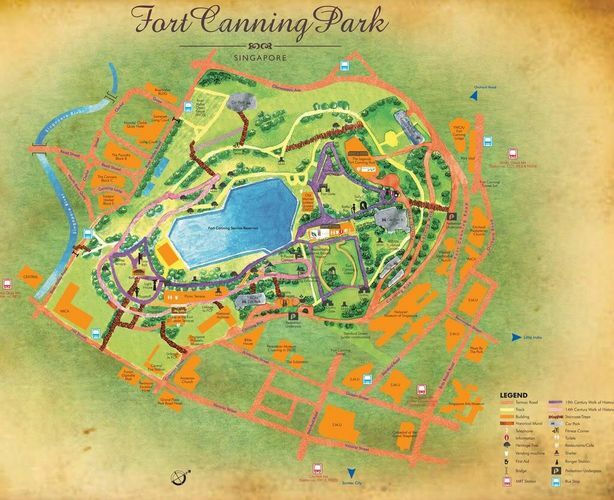 Located on a hill, Fort Canning Park is one of Singapore's most historic landmarks. It has witnessed Singapore's golden age, when Malay Kings ruled from its peak, and watched as the island transformed into a vibrant trading trading port in the 19th century. 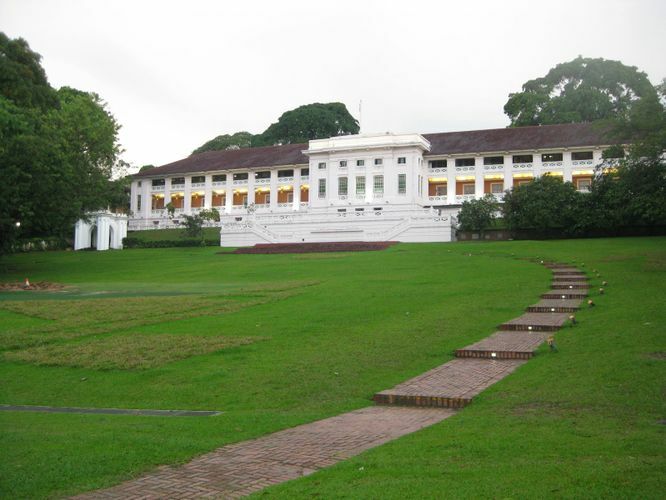 During World War II, the hill was instrumental in Singapore's war efforts with numerous military buildings located there. One of these buildings was the Fort Canning Bunker or Battle Box, where the decision to surrender Singapore to the Japanese was made by the British. Many artefacts from Singapore's colourful history have survived on the hill and are still visible today. The ancient glory of the hill has been recreated and featured in the World of Temasek - a free online virtual game set in the 14th century kingdom of Temasek. Today, Fort Canning Park's distinctive charm remains. Its ancient artefacts is a must-see for history buffs, and its lush greenery and expansive lawns offer a variety of arts, heritage and nature experience. The outdoor lawns draw picnics, concerts, theatre productions and festivals, while weddings, parties and gatherings are a regular sight in the park's elegant indoor function rooms. Visit the park today and experience the tranquillity once enjoyed by the Malay royals of yore.